There has been a certain sadness the past few weeks as Netflix has started cancelling it’s Marvel line of shows. This follows the announcement of Disney’s new streaming service, which will be showcasing their own Marvel content over the next few years. Fans have gone berserk, even putting together a petition that has gotten over 195,000 votes! 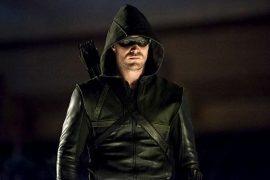 The Marvel shows, which include Daredevil, Jessica Jones, Luke Cage, and Iron Fist, have been a fan favorite, culminating in rave reviews and critical success. The Punisher was no different, giving us a Frank Castle we can all stand behind, after years of us waiting for a worthy replacement for Thomas Jane (sorry Ray Stevenson). Jon Bernthal came into the second season of Daredevil and honestly just stole the show as the simmering and deadly Punisher. In my opinion he even made up for all the ninjas. 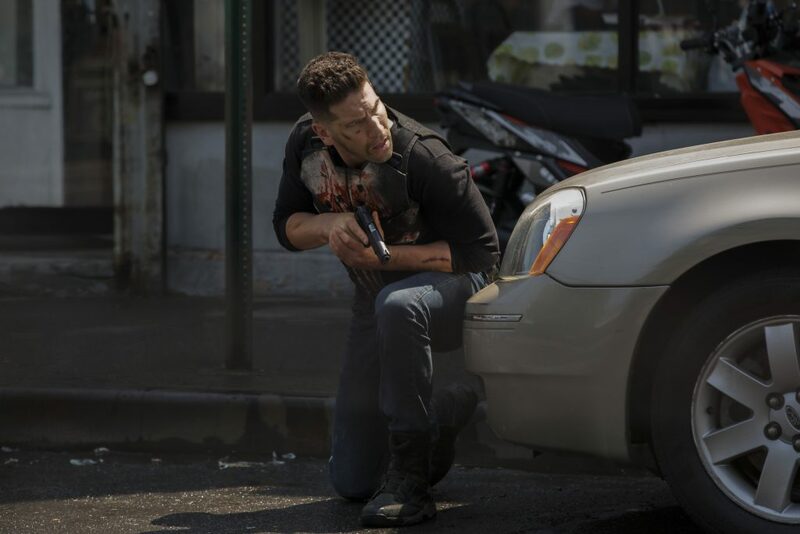 When the first season of The Punisher rolled around, he took a grounded figure and made him more relatable. 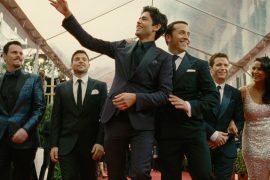 This was a man looking for revenge for what others had done to his family, eventually finding out that those “others” were his best friend, Billy Russo (Ben Barnes). After going through corrupt military contractors and the unjust, he enacted punishment on pretty boy Russo, sabotaging his face but leaving him alive. That’s where we are left with last season, a sense of finished business and maybe Frank gets to finally move on with his life. We all know it is never that easy. I had a hard time thinking I was going to enjoy this second season over the first. The first season had everything I needed, and honestly I was naive in thinking that this story was over. Yeah okay. With Frank finally doing his own thing and traveling the country, he stops to get a drink at some far off bar in middle America. He falls for a bartender, Beth, played by the enigmatic Alexa Davalos (the very same Alexa of The Man in the High Castle), which is heartbreaking because you know that wasn’t going to end well. When he decides he needs to leave he gets pulled into saving a young girl, Amy (Giorgia Whigam) with a secret. This is where the story really begins (sorry Beth), as we find out she is on the run from some very nasty folk who will do anything to kill her. Of course, Frank cannot have that, leading to an all out melee and an escape across state lines. I have to say, I wanted this Beth relationship to work. I did. But is the Punisher supposed to ever be happy and content? I don’t think so. That is kind of a sad testament, but one that holds weight in his narrative. This is a man who really only sees red. It is almost one note, but man does Bernthal pull it off well. He is seen being gruff and untrusting towards Amy, which isn’t entirely wrong. The guy had it all for just a second. Even a second is too much. 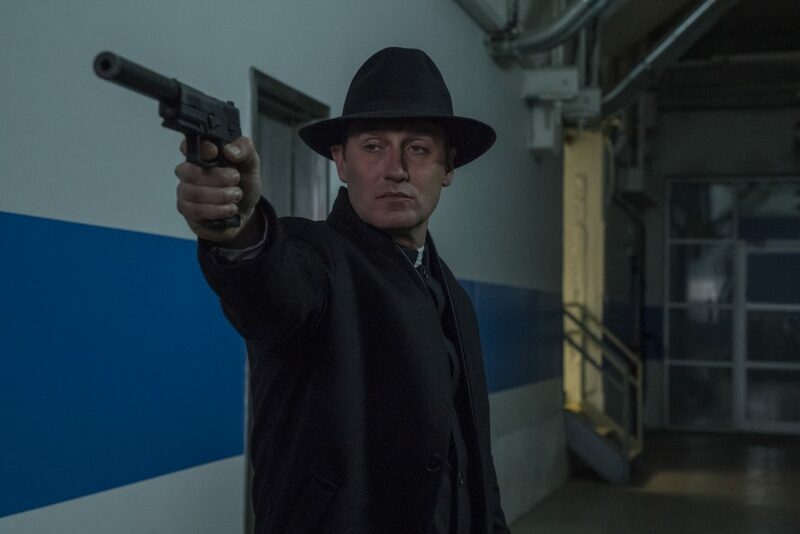 One of the better introductions of the year is John Pilgrim (Josh Stewart), who is the attack dog of the powerful people who are looking to end Amy and now Frank (by proxy). He seems at odds as a character, a religious man who seemed to be an ex White Supremacist, but also a love for blood even greater than Frank. There is a certain coldness to him that rests in his eyes. Josh Stewart is a fantastic actor that needs more meaty roles (I loved him in Shooter). Every time Amy and Frank believe they have gotten away, Pilgrim finds his way back in their way. It is a deadly cat and mouse. While ALL this is going on, back in New York we see a sadistic Agent Dina Madani (Amber Rose Revah) stopping by and seeing Russo’s recovery every day. She crosses path with his psychotherapist, Krista Dumont (Floriana Lima), who sees a lot of good in Billy, while also believing his amnesia is real. Obviously, Madani doesn’t feel the same, setting us up for a great clash of characters. After Frank finds his way back to New York (I won’t spoil the deus ex machina, but it did follow one of the greatest sequences in a Netflix show), he has to not only stop an escaped Russo, who’s last memory was that of a friendly Frank, but also Pilgrim who is ready to finish the job. 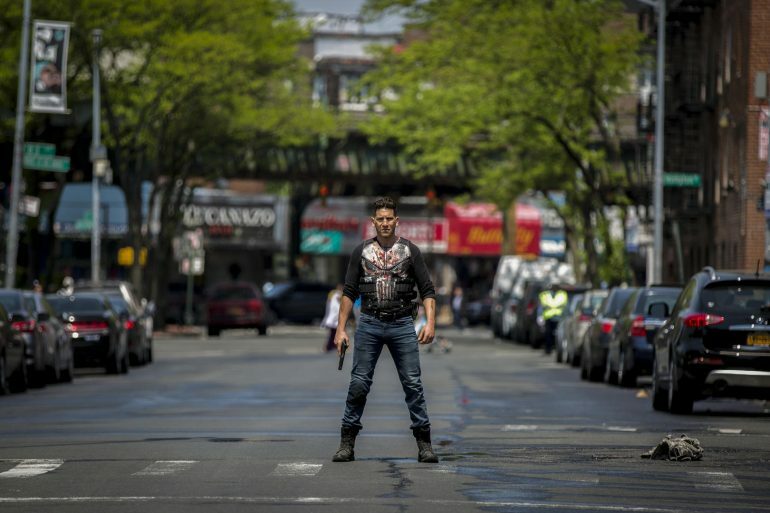 I usually find the Marvel Netflix shows lag in the first half of their third act (usually episodes 9-11), but The Punisher does not follow that routine. 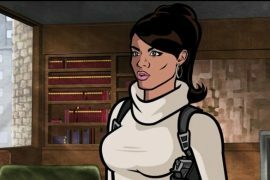 Yes, there are sequences that make you go “Wait where are the Avengers?”, but it absolutely still kept that grounded feeling that makes this show so good. Frank and Amy work so well together, and pairing him with a teenager was a phenomenal choice. Giorgia Whigam is a solid actress who is destined for a great career. She plays the role of Amy (formerly Rachel) so well, and she is such a good foil to Bernthal’s Punisher, it is almost criminal. Amber Rose and Floriana, as Madani and Dumont, respectively, have some of the best measured conversations that ultimately showcase how they’re the polar opposites we need. Ben Barnes? I thought I loved his Billy Russo last year until I saw him post amnesia. It’s almost as if he is more dangerous knowing that he has to kill Frank, even after feeling remorse for orchestrating his family’s murder. Frank’s moral compass is tested a hundred times over, but that’s what makes Bernthal so good. He puts this innate sadness in his characters that showcase a REAL human beyond acting. If this is The Punisher‘s swan song as well, I was content. Hands down this has been the strongest of all the shows, as well as a perfect way to end a series. It was contained, relatable (minus the homicide), and heartfelt. 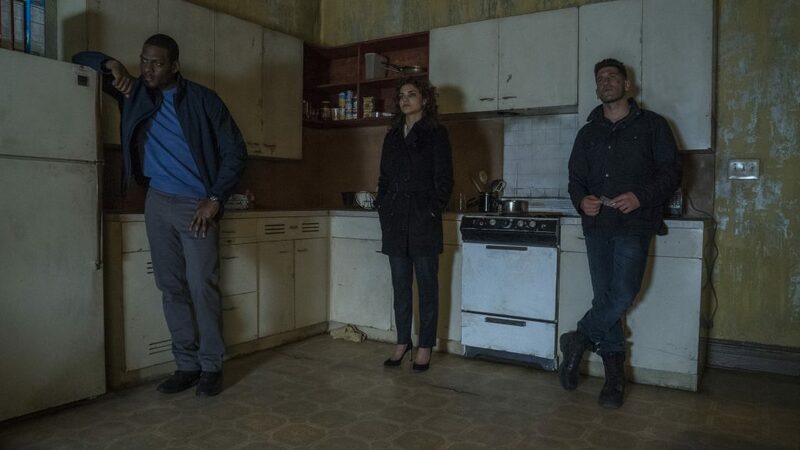 Here is to hoping Marvel brings back our favorite Defenders and Frank Castle on their streaming service. 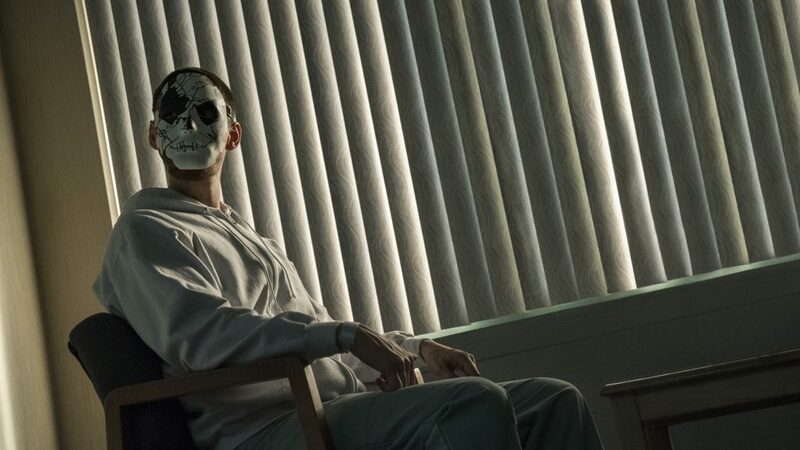 All 13 episodes of The Punisher are now streaming on Netflix. weblog from stgart to end. viagra tablets in tamil viagra online pharmacy generic sildenafil online overnight shipping.